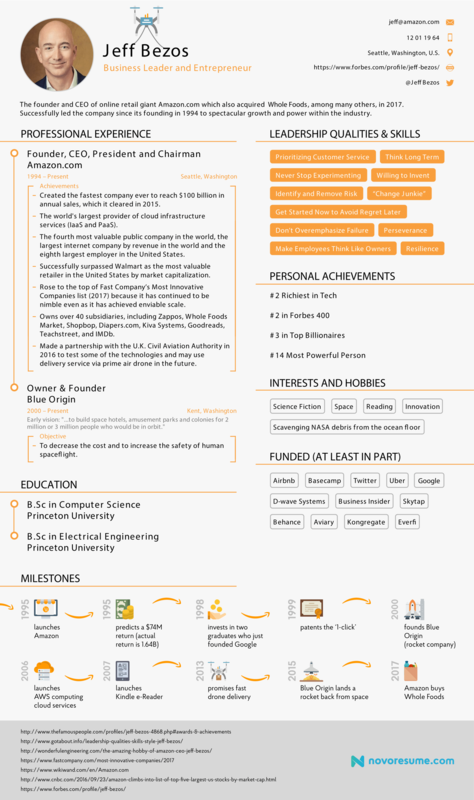 What Does Jeff Bezos’s Resume Look Like? At this level of success, Bezos seems less like a human being and the more like the walking, talking manifestation of sentient business acumen, the avatar of the most outlandish reaches of career achievement in 2017. But Bezos, for all his billions, is just a person like you or I – a living, breathing person who had to put in a little legwork on his climb to the top. 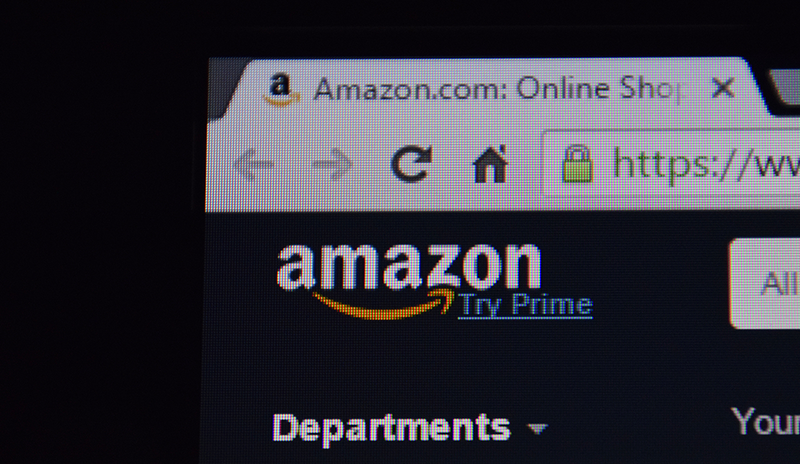 Suppose Bezos – for some reason – found himself on the hunt for a new job. Suppose he, like the rest of us, had to condense his career down to a one-page resume to fire off into the waiting maws of ATSs across the internet. What would that resume look like?